Mission: Impossible Fallout has been directed by Rogue Nation and Jack Reacher director, Christopher McQuarrie. The film features Tom Cruise, Henry Cavill, Rebecca Ferguson, Ving Rhames and Simon Pegg among others. Tom Cruise starrer Mission: Impossible Fallout will have a much deeper story. Mission: Impossible Fallout director Christopher McQuarrie has revealed that Hollywood star Tom Cruise will do his “most difficult stunts” in the upcoming film. The director said the movie will not only be high on action sequences but will also have a much deeper story. “Without question the biggest and most difficult stunts that he’s ever done. Some of the most challenging stunts he’s ever done. But, also, a much deeper story. A much more emotional story,” McQuarrie told Collider. 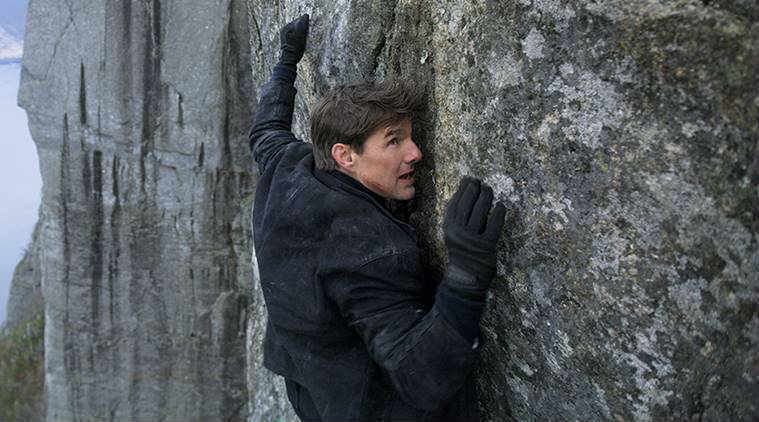 Meanwhile, Tom Cruise recently revealed that Mission: Impossible Fallout is the ”most challenging” movie he has ever made. The Top Gun star, known for completing many of his own death-defying stunts, had broken his ankle in August 2017 during a roof-jumping stunt while filming for the movie in London. Mission: Impossible Fallout has been directed by Rogue Nation and Jack Reacher director, Christopher McQuarrie. Fallout is the sixth instalment in the franchise. Tom Cruise had earlier shared the movie posters and teasers on his official Instagram account, where he was seen doing some intense action sequences, Ethan Hunt style. Henry Cavill’s character, August Walker, who plays one of the antagonists in the film also delivers some solid punches. The awe-inspiring action, a Tom Cruise who never gets older, and a mysterious (and stunning) woman were the best takeaways from its trailer, which was released during the Super Bowl in February this year. Mission: Impossible Fallout surely looks like a big screen popcorn entertainer, loaded with all the good things that make the MI a successful franchise. MI6 features Tom Cruise, Rebecca Ferguson, Ving Rhames, Simon Pegg, Michelle Monaghan, Alec Baldwin, Sean Harris, Henry Cavill, Vanessa Kirby, Sian Brooke and Angela Bassett in pivotal roles. The film is set to release in July this year.